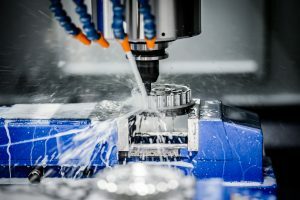 Enterprise Machine Company is a computer-aided, CNC, high-precision machine shop, providing high-quality machining services at very competitive prices. Our attention to detail has allowed us to provide our customers with reliable results since 1993. All of our work is inspected at each phase of production, ensuring dimensionally correct and high-quality finished products. Our Goal is to give our customers superior quality, service and precision from the simplest component to the most complex prototype or full-production run. We take pride in the fact that we have developed a successful working relationship with our many loyal customers, and have retained competitive pricing over the years by adapting our skills and equipment to fit the needs of those customers. We can assist your engineers by suggesting design modifications to make your parts more efficient and economical to manufacture. Our combination of talented personnel and state-of-the-art equipment allows us to serve many types of clients, from an inventor building a prototype, to production runs from larger companies. Enterprise Machine Company has a reputation for getting the job done right. Regardless of difficult-to-machine material or demanding tolerences, we deliver quality at competitive prices. What Can We Do For You? We specialize in precision machining, from prototype to production runs. 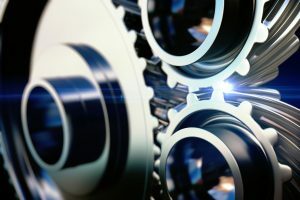 We work with a large variety of metals including aluminum, copper, steel, stainless steel, brass, bronze and other metals, as well as a variety of plastics including acetal, acrylic, PVC, teflon and many other engineering grade plastics. Quality and Service Are of Primary Importance. Our commitment to quality, delivery and competitive pricing is the driving force behind our success. 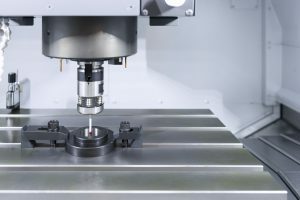 We invite you to submit your next machining requirement to us for a quotation.